Thank you for using Automation Workshop. This event indicates that you are approaching the limits of Free Edition. Consult below for more information. 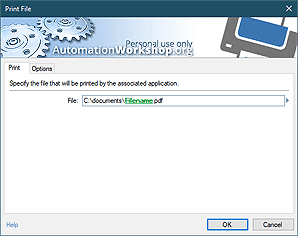 The Capacity limits have been reached for Free Edition message indicates that the use of Automation Workshop Free Edition is more serious than covered by its license. The message is shown when the user tries to design many or extremely complex Tasks. If you see this message, please consider supporting our work to deliver free automation software to everyone in need. This event message is triggered by Automation Workshop manager. Compare features · see the difference between Automation Workshop editions. Automation Workshop makes doing my job much easier. —Susan H.